ALC Recycling wants to do their part in helping our Shenandoah Valley Community. We have created this section to show-case items that still have some life left in them before going to de-manufacturing. We would like to see these items go to families who could use them, so if you are (or you know of anyone) in need please contact us. We have plenty of LCD Monitors On Hand. 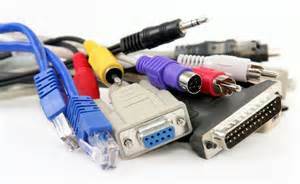 If you need computer cabling call us. We would love to see these items go to use. We have plenty of PS2 and USB Keyboards and Mice. Please let us know what you need. Please note that we do not provide software nor are we able to provide any new electronics.